Holey moley, it's frickin' hockey season. Maybe it's the fact that it was 90 degrees last weekend that makes it feel like we are still in the dog days of summer, but alas, here we are. It's nearly October and it's about time to drop the puck on the 2017-18 season. 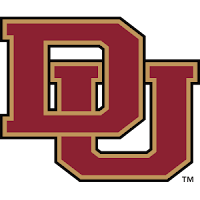 Denver is the clear favorite for a back-to-back run at the Penrose Cup as National Collegiate Hockey Conference champions as well as the favorite to defend their national championship, but as we UND hockey fans well know, it's pretty dang hard to repeat. 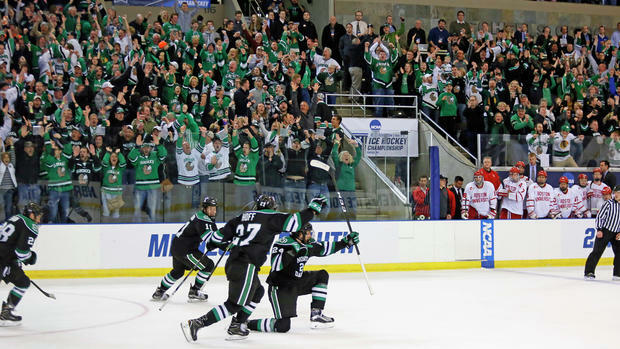 It's been six long months since the Fighting Hawks lost in heartbreaking OT fashion to Boston University at the West Regional in Fargo and UND has gone through some serious changes. 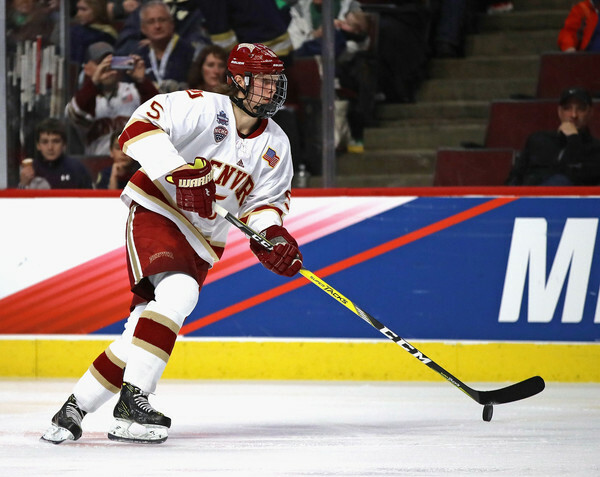 Gone to the NHL are stalwarts Tyson Jost, Brock Boeser and Tucker Poolman. But, the cupboards are certainly not bare. The Green and White return a great nucleus of players that will lead UND in their run to a potential shot at Green Banner No. 9 when the Frozen Four rolls around from St. Paul's Xcel Energy Center in April. Captaining this year's squad, senior Austin Poganski leads the way with Shane Gersich, Christian Wolanin and netminder Cam Johnson helping pace UND in it's new pursuit of greatness. Accompanying the returners, the Fighting Hawks bring in a nice group of freshman that are hoping to make an immediate impact. So, let's take a look at what storylines will write the history for this year's UND men's hockey team. DDC delves into those storylines as well as preview his view of the NCHC and NCAA picture and predicts the Hawks' exhibition game against the Manitoba Bisons. Without further ado, let's get it going, shall we? This team, unlike the past two seasons, isn't loaded with elite-level scoring, but it does have a lot of depth. The Fighting Hawks lose a combined 99 points from the trio of Jost, Boeser and Tucker Poolman, all having moved on to professional hockey contracts, but return 7 of their top 10 scorers from last season including last year's team leader in Shane Gersich (21 goals, 16 assists -- 37 points). UND looks to young players like Dixon Bowen and Ludvig Hoff to expand their roles as this team should be able to roll four deep lines if newcomers can come in and instantly contribute. UND's rookie class doesn't have the blue chip name like Jost, Boeser or Nick Schmaltz like they have had in the past few seasons, but that doesn't mean this isn't a good class of rookies. In fact, neutralzone.net had the Hawks rated as the top class in the NCAA coming into this year. Grant Mismash is a 2nd-round NHL draft pick while Jordan Kawaguchi and Nicholas Jones are coming off BCHL playoff runs that saw them posted No. 1 and 2 in scoring. 3) Can Cam Return to Form? 2016-17 wasn't a terrible season for UND netminder Cam Johnson, but it wasn't to the level of what it was like during the Hawks' 2015-16 title run in which Johnson was a Mike Richter finalist as the NCAA's top goaltender. Loads of new freshmen defensemen getting used to college hockey was a big part of this, but Johnson was nevertheless not at his top form. With a returning group of D-men in Christian Wolanin, Colton Poolman, Hayden Shaw, Andrew Peski and Casey Johnson that logged significant minutes last season, Cam will have a chance to improve and be the backbone of UND once again. If this happens, the Green and White will have a chance to be in every game this year. It's DU's world and we're all just living in it. In all seriousness, all the top contenders have big question marks while DU pretty much just has the least. Returning the talent they have on the front end, they are the best team in the country until that is proven differently. Boston University lost a lot of talent, but still has a lot of with Jordan Greenway, Patrick Harper and Jake Oettinger leading the way. Penn State and Wisconsin are wholly unproven, but are loaded with talent. The Badgers lost Luke Kunin, but gained a legit No. 1 goalie in graduate transfer, All-American Kyle Hayton, formerly of St. Lawrence. DDC believes that UND can make some hay with a lot of depth, but lacks dynamic scoring that they have had the past two seasons. If Cam Johnson plays like he did during the Fighting Hawks' 2015-16 title run, the Green and White could be right there in St. Paul for the Frozen Four in April. DU is No. 1 in the National Collegiate Hockey Conference and the NCAA polls and rightfully so. Losing last year's Hobey Baker Will Butcher is a big blow to their blue line, but returning stars in Henrik Borgstrom, Dylan Gambrell, Troy Terry and goaltender Tanner Jaillet, the defending national champs are poised for another deep run. DDC likes UND's depth this season, but who will stand out as scorers? Contributions are needed from a nice group of freshman led by 2nd round NHL draft pick Grant Mismash. Cam Johnson ala 2015-16 would be a nice piece for North Dakota. St. Cloud State looks like a team that will contend both in the NCHC and nationally with Jack Ahcan, Will Borgen, Mikey Eyssimont, the Poehling trio and Jimmy Schuldt leading the way. They are a legit goaltender from being really, really good. Can Slovakian rookie David Hrenak be they guy for the Huskies? UND is 13-0 all-time against Manitoba and topped the Bisons 5-1 last year, but that game was more about raising banner No. 8 to the Ralph Engelstad Arena rafters. In this one, the Fighting Hawks starts its run to No. 9 and are trying to see who can make an early impact. Nicholas Jones has experience in college hockey, leaving Ohio State and heading to the BCHL before coming to Grand Forks. After a huge playoff run, can he make an early impression on his new teammates? How about Shane Gersich? Can he build of an impressive sophomore campaign and bring the Hawks the elite scoring they are looking for? Will Cam Johnson once again become the man between the pipes or will freshman Peter Thome make his push? DDC sees UND's depth taking hold here. The Green and White get scoring from all over the lineup as Gersich nets two, captain Austin Poganski gets one to go, while freshmen Jordan Kawaguchi and Grant Mismash endear themselves to the REA faithful with their first tallies. Ludvig Hoff and Johnny Simonson round out the scoring for a successful start to 2017-18. It's hockey season, ladies and gents. Let's do this!